Express Sport report that Leicester forward Riyad Mahrez would prefer a move to London over Manchester, as he again looks for a way out of the club. The Algerian was reportedly desperate to leave in January and Manchester City were interested in bringing him in on Deadline Day. But it remains the playmaker’s preference to move to Arsenal instead – providing they can stump up the big cash Leicester will demand. Tottenham and Chelsea remain alternative options. Mahrez has withdrawn the transfer request he put in when the club put an £80m price tag on his head after rejecting a £50m-plus offer from Manchester City. Only Mahrez, Jamie Vardy and Peter Schmeichel remain from Leicester’s title winning side. Transfermarkt value the 27-year-old forward at £45million. Whoever the next Arsenal manager is should strongly consider making a statement and signing the Algerian. Drastic changes are needs at the club if they are to challenge for silverware again. For too long, players have coasted by without any accountability. 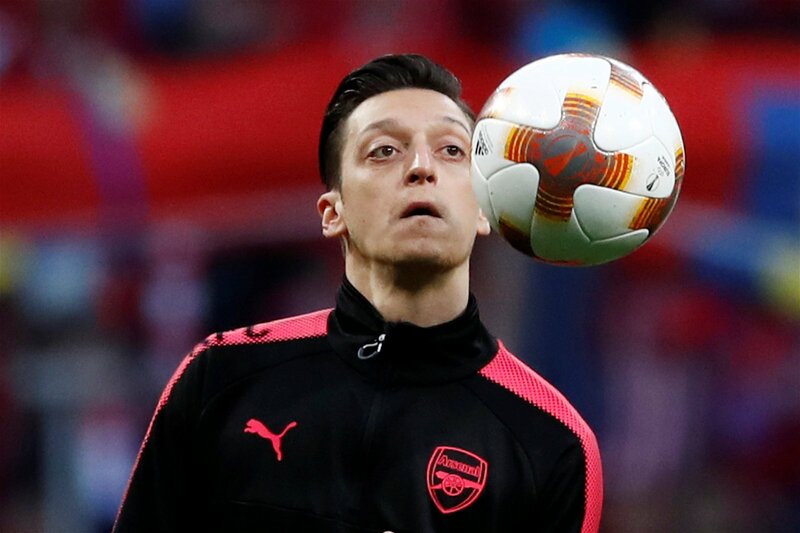 Mesut Ozil optimises this. The German’s quality is obvious but he often does not turn up for big games and seems to miss games with illness far too often. Replacing the German for Mahrez would be a real coup for Arsenal, though. Mahrez will add even more pace to Arsenal’s frontline. Alongside Pierre-Emerick Aubamayang, Henrikh Mkhitaryan and Alexandre Lacazette, Arsenal could be extremely dangerous next season with the addition of Mahrez.